The Secret Garden Meeting is a place for bereaved parents. It is our garden, our secret place to come to. A place to remember our children with those who understand us. It is a place to just be, without worry or fear of not being accepted and to share our hearts. What has helped you through out this new life the most. Is it your family? Your faith? Support groups? A ritual? Music? Physical activity? A new interest? It could be anything. Tell us about how whatever it is has helped you. Please feel free to share photos, videos, websites, support group information and so on. There is no doubt that God has been the major influence in my healing. 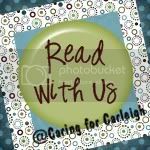 From the moment we got Carleigh's fatal diagnosis, He was there and He never left me. He continues to be with me. Sometimes He feels closer and sometimes farther away but I always know He is there. God has actually surprised me in the amount of healing He has given me. It is so hard to describe what it has been like for me on this broken road because sometimes I find it hard to believe that I am where I am. I've yet to find the words to describe it accurately. Perhaps this road of healing has been somewhat easy on me since I struggled much with Jordan. Between God's healing and the counseling I received then, maybe it helped to prepare me for this. Another big healer for me is helping others. Just knowing that my journey is helping people with their own or allowing them to see the grace of God is a marvelous wonder. I don't think it is right for me to feel sorry for myself and throw a pity party, no matter how much I may want to. That really gets me nowhere and it would prolly just make me feel like crap. Instead, I feel a desire to reach out to others to comfort them in their hurt and to help them and other families facing the tragedy of losing their baby. I just pray that I can do a good job. Blogging has allowed me to write out the feelings that are not easy to speak and has brought me into touch with many other moms facing the same grief of losing their baby. I know that I am not alone and that they understand what I am going through. Being able to have this outlet is a wonderful release. I'm afraid many emotions would get pent up without it. While I was waiting with Carleigh, my anencephaly support group (Anencephaly Blessings From Above) helped me immensely. It was a safe haven for me where I could talk to other moms and receive comfort and guidance. I now belong to another anencephaly support group too (Anencephaly Support). I joined the other after Carleigh's birth. They still offer a lot to me and I also have the opportunity to help moms who are currently pregnant. I feel it is good for me to give back as I am grateful to those who helped me. I am so thankful that I have my daughter, Kyndra. She fills my arms when they ache to hold Carleigh. She is such a joy to me, just like her sister. She has kept me busy and given me great reason to get up every day and live life to the fullest. I want to be a mommy she can be proud of. I love her so much! I love listening to music, especially KLOVE. During my pregnancy with Carleigh, I had a playlist that contained certain songs. Some were older and some were newer. My entire pregnancy, and even after, I heard these songs often and at times when I really felt I needed to hear them. Sometimes they would bring tears to my eyes but I always enjoyed them. Songs have a way of connecting with you and your situation. I hear new songs now that make me think of Carleigh too and I've added and deleted on the playlist. My favorite place to listen to music is while I'm driving. Sometimes I will sing along and other times I will just listen and take in the words. Whenever I hear More Beautiful You on the radio I have to sing Carleigh's version of the song. I still can't make it through the song without choking up at some point. One of the things I'm currently working on is Carleigh's scrapbook. I've actually completed one scrapbook already and I'm on the second one. I've long passed my goal of finishing it but that's ok. I only have a little more until it is completed. It's nice to be able to look through all her pictures and put them together in a creative way. I'm designing it for her and anything for her is very special to me. I like having things that remind me of her. I got a tattoo of her handprint and her name on the back of my right shoulder. I had it made to her actual size. I love looking at it in the mirror and thinking of her and her tiny, perfect hands. Another thing I like is remembrance jewelry. I have a few pieces already and a couple in the works. It is something I can wear that people can see. It's hard to believe it's been 6 months since we said hello and goodbye to our sweet daughter. It feels like so long ago that I held my Carleigh in my arms and basked in her presence. It's getting more difficult to remember what she felt like in my arms. This is when I wish I could freeze time so that no more would pass and I could stop the memories from fading. I know those moments will never truly disappear from my memory, but the farther I get away from March 28, 2009, the fuzzier they become. I'm quite thankful I have so many pictures, videos, and keepsakes. I'm also thankful that I blogged about so many moments so that I will always have them. The day went fine for me. Work was.....well, work. After said work, I picked up Kyndra from the sitter's and we went out to the cemetery. I didn't realize how windy today was until we were out there. Pulling up I could see that half of Carleigh's flower arrangement in her vase was missing. The wind had ripped it away. I left Kyndra in the van and went to survey the damage. There was a lot missing so I looked over the surrounding area to see if I could retrieve any of the missing flowers. I found most of them right in front of her stone, thank goodness. I also found one of her purple flowers quite a few yards away. I was able to put all the flowers back in and I made sure I pushed them in as far as I could to help prevent them from blowing away again. I guess we'll see if I was successful on the next visit. I created a slideshow of her NILMDTS pictures to share today. Words can never express how much I love and miss you. While there is pain in my heart from losing you, there is also tremendous joy from knowing you. What a blessing you are to me! You will always be my shining star. Twinkle brightly my sweet little girl. Please click the above icon to learn more about Read With Us and how it works. This book reading is for In Faithfulness, He Afflicted Me by Lynnette Kraft. Worrying is something everyone does. Lynnette worried about things surrounding Anna, such as getting pregnant and not being able to take care of her properly and Anna's tests. Worrying can wreak havoc on your body and your mind. Trusting in God and His plan for us can help ease that worry. Learning to trust isn't always easy. What things do you worry about? Do you find it easy to give these worries to God? I agree with Lynnette that focusing on God takes effort. Let's face it, there are lots of distractions in this world. But God is infinitely better than the world. Lynnette talks about the journals she has where she writes about the funny things her kids have said and done. I bet those journals are great for looking back on for the whole family. I think we all want our children to have fond memories to look back on and having a journal to record them is a great way to remember. What memories of your childhood make you smile? To give so much time to improving myself that I have no time to criticize others. Nobody likes to be criticized. It doesn't feel good to be on the receiving end of criticism. So if we know how bad it feels, why do we do it to others? None of us are perfect and we all make different choices. Our choices may not be the same ones others would make and vice versa but that doesn't mean they are wrong. If I spend more time trying to improve myself, I will take less notice of the flaws or annoyances of others. I think everyone could use a little improvement in some area! Those walking today on the team were me, Anthony, my best friend Lindsey, her husband Jarrod, my sister Katrina, my mom, Aunt Nancy, my cousin Amber, plus all of our kids! So 8 adults and 5 kids! The walk itself went great. There was a 2 mile and a 4 mile course. We walked the 2 mile and then came back to the park. Aunt Nancy accidentally fell down a muddy incline and tipped Kyndra and her stroller over too but other than that there were no accidents. They were a little muddy after the incident but we got it cleaned up pretty good. The kids got some balloons from some clowns. We ate some food that was provided by Subway and Donatos pizza. There were some yummy cookies there too! I won a couple door prizes-a pizza from Papa John's and an oil change from Monroe. I want to give a big THANK YOU to everyone who donated to me for the walk. I raised $400 for the March of Dimes and as a team we raised between $700-800. (I can't remember the exact amount.) Thank you to Brandy, Celia, Sarah, Dena, Camille, Jennifer, Rachel, Cathie, Jenifer & Brian, Sharon, Debby, Darcee, Heidi, Sara, and Carolyn. I couldn't have raised what I did without your support!! Also a THANK YOU to Deidre from Dees T's who generously donated our team shirts for the walk. The design turned out really great and I loved it!! On July 19th, we made a visit our to the cemetery so that I could put some flowers in the vase on Carleigh's headstone. The vase had been put up just a few days earlier. The visit was the first for my step-daughter, Hannah. She was with us for about 6 weeks for the summer and we made the visit before she left. I wanted to share some pictures that my father-in-law took. I imagine the holidays were a joyous occasion for the Kraft family that year as Anna was doing well. They had to be careful though in making sure no sickness came into the house, so they did not venture out often. I'm sure at times it could get a little claustrophobic but I know that I would do the same if I needed to. You learn to adapt to things that are best for your family. Lynnette says that they learned valuable lessons during the time when they had to stay in to protect Anna. They saw that their walk with the Lord was more of a performance than a genuine walk. This really got me thinking! How many times do we do things to make ourselves look better? We've all done it. I know I'm guilty of it. Why do we feel the need to try and please others when the Lord is all we need to please? I imagine the time spent at home was very eye-opening and I'm glad Lynnette shared it in her book. It's made me realize more that missing a church service one week isn't the end of the world. Do you think that you can grow in faith without going to church? I like to imagine what it would be like to be able to stay home with my family all the time and not go anywhere and I think I would be perfectly content!! To wear a cheerful expression at all times and give a smile to every living creature I meet. Now, this isn't hard for me to do at all! I am a very cheerful person and almost always have a smile on my face. Even on bad days, I can often find something to smile about. I don't think I can even think of one day when I have not smiled, even on my journey with Carleigh. Smiling and being cheerful can be quite contagious and can lift a bad mood. I've witnessed this myself in taking care of patients at my job. Smiling makes me feel better too. Thank you to Ashley from Babies in the Sky for writing Carleigh's name in the sky for me. It is so wonderful! 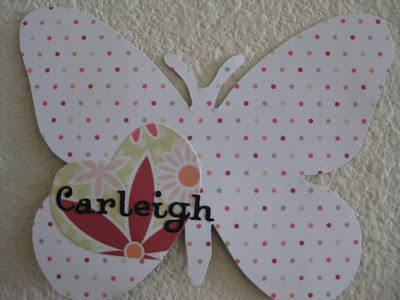 Thank you to Bree at My Baby Butterfly Ella for creating a beautiful butterfly for Carleigh. You can visit her post Ella's Parade of Butterflies to see them all. If you read my blog, then you probably know about Kelly. (I've mentioned her, you know, once or twice. lol) In 2004, Kelly founded Sufficient Grace Ministries for Women, a 501 (c) 3 non-profit, non-denominational Christian organization, with the purpose of reaching out to women and families to offer comfort, encouragement and hope. The Dreams of You division of this ministry was created specifically to provide comfort to women and families who have lost a baby through miscarriage, stillbirth, or infant death. Kelly has lost 3 of her own precious children-Faith, Grace, and Thomas. 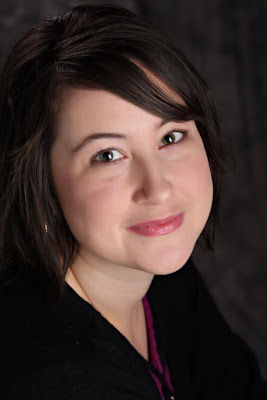 Today, I want to highlight Kelly and her ministry. Kelly and her husband, Tim, were married in March 1994 and had a son, Timothy. Two years after they were married they found out they were expecting twins. Kelly went into labor around 20-22 weeks, but thankfully labor was able to be stopped. Not long after, Kelly found out she was expecting identical twin girls. She also found out that her daughters had a condition called Twin to Twin Transfusion Syndrome (TTTS). In this condition, one baby receives too much nourishment and the other not enough. Kelly had extra amniotic fluid drained several times to help with the condition. At 26 weeks, though, her daughters' hearts stopped beating and she delivered them silent into the world. Just a year later, Kelly was pregnant again. An ultrasound midway through the pregnancy showed that the amniotic fluid was low. It was determined that her son, Thomas, had Potter's Syndrome, a fatal condition characterized by a lack of kidneys. Doctors gave her and Tim the choice to either terminate or continue the pregnancy. They chose to continue. Thomas was born and lived for 6 hours. Kelly held and rocked him as he left this world for Heaven. You can read the full stories of Faith, Grace, and Thomas by clicking here. Kelly has 2 unique keepsakes that are part of her ministry (she also offers others but at a more local level). The Dreams of You Memory Book and the Comfort Bear. I have both of these and I must say that they are both beautiful and comforting. Kelly created the Dreams of You Memory Book years after losing Faith, Grace, and Thomas. 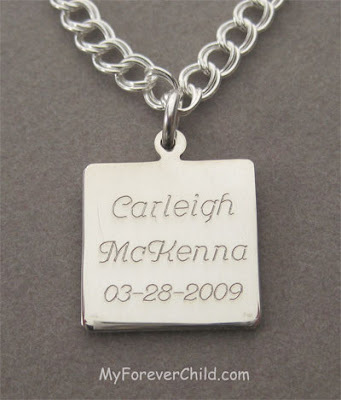 Kelly was searching for a memory book for a friend of hers who had lost her baby but couldn't find anything suitable. Kelly started out used her own two hands to cut and paste the design of the book. Later, she designed the pages to be printed from the computer. As more orders came for books, it was obvious that a redesign was needed for the books. Kelly's son, Timothy, drew the replica of the Comfort Bear and the tiny footprint in the bear's heart is Faith's footprint. After hiring a company to print the books and making a few changes, the final result was complete. Hundreds of families have been blessed with this book, which truly honors the life of these cherished babies and allows parents to have a beautiful, lasting, tangible memory to hold the lifetime of dreams they hold in their hearts. The Comfort Bear was born from the heart of a grieving grandmother. Kelly's mom, Kathy Rutter, decided to make something as a small offering of comfort to fill the empty, aching arms of other grieving moms as they were wheeled out of the hospital to enter a world without their babies. She poured her heart into making her Comfort Bears, filling each with love and prayers, until she grew too ill to continue. She worked on the bears until about a month before she lost her battle with cancer. Kathy's Comfort Bears are still made with a Grandmother's love and prayers, as the Helping Hands Ministry works to sew each one. Her legacy and the legacy of Faith, Grace, and Thomas continues. "As far as where I would like to see our ministry in the next five to ten years....obviously God is in control. And I will trust Him to guide us with His daily, sufficient grace. But, there are some desires on my heart for the ministry.This summer, we started Walking With You on our blog, and I hope to continue using our blog to reach out to grieving mothers and families. I would love to reach out to even more families and hospitals, offering a tangible memory through the Dreams of You Memory Books and Comfort Bears. God has been growing this ministry and I trust that He will continue to grow and provide for all of it's needs. We hope to spread the word to those who do not know that we are here to offer support. Also, I would like to finish a book encouraging families who are grieving by sharing our own story of beauty from ashes. Who knows? Maybe someday Sufficient Grace could even publish books and support materials for grieving families (in addition to the Dreams of You Memory Book, of course!) Tim and I have wanted to finish a song based on the Dreams of You poem that appears in the memory books we offer. Life has put those plans on hold...but we haven't given up on that possibility. I also hope to be able to devote more time to the ministry...speaking at hospitals and sharing at churches and women's groups, traveling around to share this ministry and our (really God's) story of hope and comfort, eventually working full time with Sufficient Grace. For now, I am grateful to serve the Lord in whatever way He has allowed me to do. It has been a great privilege to walk with those He has placed in my path. And, I am so blessed everyday to see His hand as He continues to weave the tapestry of my family's story and the stories of those we encounter." I have had the awesome privilege of meeting Kelly in person. She is every bit as sweet as she is on her blog. I am very grateful that God has blessed me with her friendship. Kelly's ministry is one that is close to my heart and one that I will always support. On Carleigh's 5 month birthday, Kelly made it possible for me to donate 3 Dreams of You Memory Books and 3 Comfort Bears to the Mother Baby Care Unit at my hospital. Thank you, Kelly, for sharing your story and starting a wonderful ministry that blesses so many.